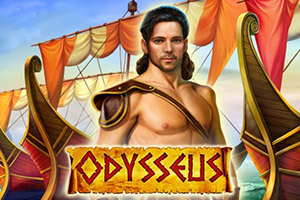 Accompany Odysseus on his travels through the Mediterranean seas in this 5 reel 30 pay line slot game. 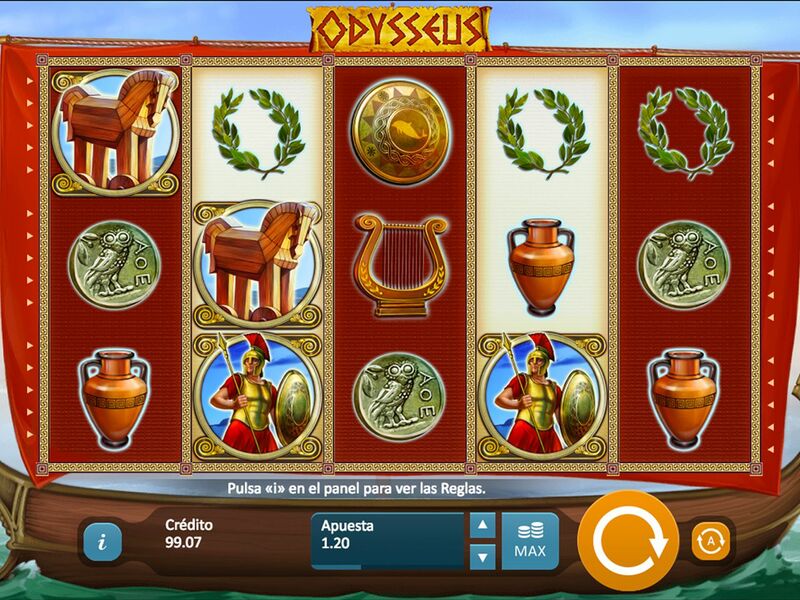 This game has a Greek theme and featured with a scatter that triggers free spins, and a wild symbol. The wild symbol is a substitute for all (except scatter). When 3, 4 or 5 scatter symbols land on the reels, the Free Spins feature is triggered. In both, the main game and in the Free Spins, regular Wild symbols substitute for all symbols except the Scatter symbol. The Wild can appear on any reel in the main game as well as in Free Spins. Free Spins are triggered by the appearance of 3 or more Scatter symbols. Free Spins are played at the same bet level and the same number of lines as the round that activated Free Spins. Additional Free Spins won are automatically added to the current Free Spins.